For Reliable Roofing Services in Fort Worth and Dallas, TX, Call The Roofworx Experts! Roofworx & General Contracting is dedicated to giving all commercial buildings the best roofing services available in all of Fort Worth and Dallas, TX. We have a long-standing history of providing all types of commercial businesses with the best available roofing – from EPDM to metal roofs. Roofworx & General Contracting in Fort Worth, TX is here for all of your commercial property needs! We work exclusively on commercial properties, giving businesses exceptional services and a roof they can count on for years to come. We are a Texas company, that specializes in stone ballast removal, roof repairs and roof replacements. Our experienced roofers recommend that you schedule a roof inspection after severe storms to make sure your roof does not develop problems down the line. 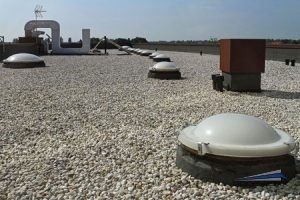 A standing body of water on your roof could result in cracks, leaks and costly repairs in your building over time. We replace many different types of roofing structures with our valued customers in mind every time. Our roofers can install metal, PVC, or EPDM roofs for a roofing solution that is durable, energy-saving and long-lasting. 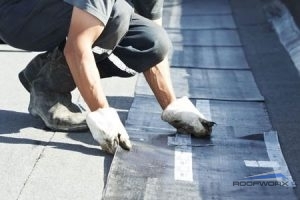 A Quick, Professional Roof Installation Is Ready For You – Give Us A Call! Have you heard of stone ballast removal services? If your roof has a stone ballast on it that needs to be removed to make way for your roof repair, the easiest and most common way is to vacuum it! Roofworx & General Contracting has the knowledgeable staff readily available to assist you in all areas of your commercial roof. Don’t let just any company work on your roof – let our professionals take care of your roofing needs. Contact us today at 817-920-5974 in the Fort Worth and Dallas, TX area. Updated on December 27, 2017 at 9:08 pm by Roofworx & General Contracting.